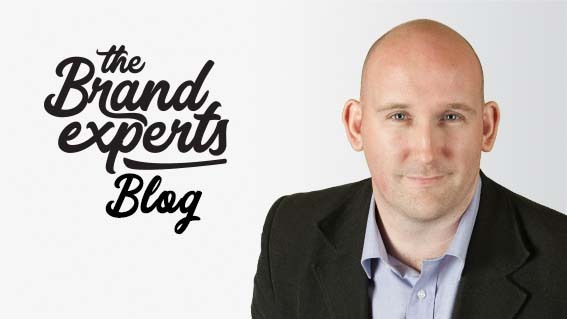 Brand: why being ‘the best’ isn't in your best interests - and what is. These big picture ideas or ideas around this theme are what many businesses and individuals think of when projecting or brainstorming their brand vision, mission or purpose. When setting any goals, targets or business objectives, the ‘B’ word (best) usually crops up more often than not. Are you guilty of having these thoughts too? Fear not, you’re not alone. It’s normal but it’s flawed business thinking. The problem with having these particular thoughts, from a brand and business growth perspective, is that it sets your business up to fail before you’ve even started. How? By aspiring to ‘be the best’ you’re attuning yourself with the mental concept of external power – i.e. you’re admitting subconsciously that you’re coming from a position of ‘lack’, struggle and control i.e. fear. You feel you will only gain power by achieving an external perception of power as viewed by your peers. True authentic power is internal. Since our subconscious mind wins over the conscious mind each and every time, to ‘be the best’ is to reveal a disconnect in our thinking. To admit to wanting to be the ‘best’, you’re already subconsciously admitting you’re not an expert in your field and you don’t value your expertise. I don’t believe that’s a solid base on which to build a successful, sustainable and profitable business that serves your customers. Do you agree? Brand is less about logos and visuals and, in my opinion, more about developing a mindset or belief/value system that appeals to your ideal customer for strategic and financial gain. Brand is as much an inner experience as it is an external experience – its about making our unconscious conscious, clarifying our beliefs, changing perceptions and building a positive perception of our brand (which reflects part of ourselves) through positive customer experiences. The result is a desired perception in our customers’ heads that attracts and build a community of like-minded people that secures future revenue. The other problem with ‘external power’ is that there’s always someone else who wants to ‘be the best’ too. Let’s say through great struggle, ‘hard work’ or sheer force of will that you achieve ‘best’ status over many years plying your trade in your business. You can bet your bottom dollar you won’t be holding onto that title or perception for too long – why? Because there’s always someone younger, keener, stronger, and usually more desperate than you right behind you that wants to hold that accolade or title too. Once that person acquires ‘best’ status from you (and they will because holding that status is simply not sustainable) they ‘lose’ their status to another pretender to the throne. That’s the way of the world you might say – that’s progress, that’s business, that’s life – the survival of the fittest. But remember, being the ‘fittest’ is not about being the strongest, the biggest or ‘the best’ – it’s about being the most adaptable – the one who is able to deal with change – or difference. When it comes to business growth, it’s not about being ‘the best’ at all. That’s a mental mind trap best avoided. Business growth is all about being different. Because being different, expressing that difference and continuing to be that difference is what helps your customers pick you or your brand out of the multitude of similar offerings. Instead of labouring and struggling to become and retain ‘best’ status, why not dedicate your energy and resources to identifying how and why you’re different from others? Your customers and your bank account will thank you for it. Focusing on your difference, your uniqueness, or your unique selling point is one way to fast track your business growth because being known for something distinct is just one powerful strategy for business growth. Simply put, defining your difference can be a game changer. Ensuring your competitors cannot copy that difference also comes down to key strategic positioning. Help your ideal customers choose you by defining your difference. The added beauty of this concept is this – your difference is who you are. No need to mentally stress or think of a clever difference. Sure, you can always create a difference within your offering or your service or your promise (pizza delivered in 30 mins) but your brand’s unique style, personality, voice, opinions, expertise, experience and individuality collectively defines your difference. You already are different. All that is required is to unpack who you are – your Brand DNA – to define your difference. You don’t have to be ‘the best’ to get business growth. When you think about it, only one person can ‘win’ that game. The way everyone can win in business is by defining their difference. Change your mindset to change your business success. Being ‘the best’ can only end up with one result: unrealistic and unnecessary pressure on yourself and your brand to continually uphold #1 status. Being different allows you to be yourself and helps your preferred customers choose your brand. Given the choice which one would you pick? The danger of being ‘the best’ is that it simply means you’ve successfully absorbed your brand into the status quo or establishment – where you’ll find you’re invisible again – just like when you first started out in business. Your business, your staff and your services are all unique. The most effective brands understand this and take extra time and effort to differentiate themselves because, done well, ‘brand’ is proven to pay off. We all live in a world of options and commodities; potential clients need to clearly understand what differentiates you from your competitors and how you offer value. Be clear about what makes your business and your services unique. Define how you offer value. Then you’ll really be in business! The ultimate reason? To help our clients be the difference in your world. Successful brands in the future care about customers, not branding. We believe that future is now. We’re passionate about creating brand stories & design assets that help businesses.